The sport and entertainment law attorneys at Kramer Law offer legal services to clients in performing arts, media, and sport and recreation industries throughout Central Florida. 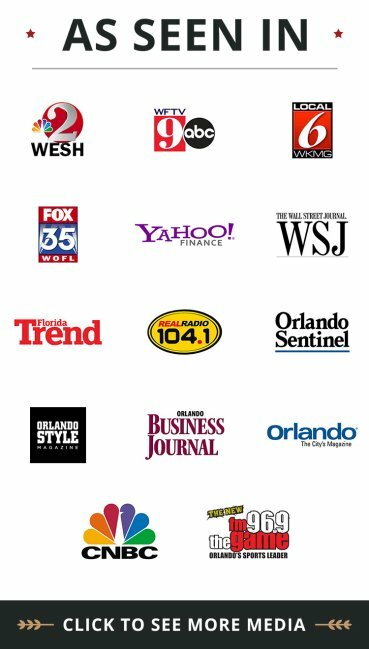 Our firm serves a wide variety of clients including musicians, artists, athletes, filmmakers, media companies, record labels and sports organizations. Our diverse, competent attorneys take pride in developing long lasting relationships with clients we serve in music law, entertainment and sports law. We can help you, whether you are an athlete or musician negotiating a contract; an author or a publisher making a deal; or a manager who needs to negotiate a complex dispute and avoid litigation. Music Law – We are able to assist you with negotiated record contracts, licensing agreements, copyright registration, producer agreements, merchandising and all other music law transactions and contracts. Learn how an experienced music lawyer can protect your rights and revenue. Sports Law – Legal matters involving athletes, sponsors, sports leagues or other organizations emerge regularly and require swift resolution. An innovative entertainment and sports law firm, we provide a broad range of sports legal services, including analyzing and drafting contracts, endorsements, intellectual property protection, merchandising agreements, risk management, dispute resolution, business planning and much more. Clients can expect a solid depth of support in both their transactional and litigation issues. Kramer Law attorneys understand the challenges and legal needs facing amateurs and professionals in the entertainment and sports world. We provide full representation - ranging from business formation and protection of intellectual property rights to contract negotiation and litigation. We stay on the cutting edge of relevant fields, such as business law and Internet law. We serve clients in the registration and protection of trademarks and copyrights; licensing; merchandising, contract writing and negotiation; royalty issues and dispute resolution. We represent our clients in various litigations where their interests are at stake. The entertainment industry is competitive and glamorous, in equal parts. 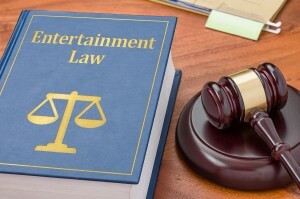 Entertainment and sports attorneys must maintain a leading position with evolving electronic media, internet and mobile technology. Entertainers and sports professionals now have many new, exciting opportunities − as well as new risks and legal concerns. "What should I do if someone stole songs from my website and Tweeted them?" "Someone overseas downloaded my portfolio/reel to distribute it online illegally. What can I do, if anything?" "What is the most appropriate contract for my new transmedia entertainment deal?" "I've created a property that I want to sell as a videogame, cell phone app, and book − all intertwined. What contracts should I use and what other IP protection would be appropriate?" How you develop original intellectual property, protect your rights in a contract, and negotiate terms in a deal can impact your career and even determine your artistic trajectory. When you work with Kramer Law, you will receive sound business advice to help ensure the longevity of your career. Kramer Law can assist you with all legal aspects in any phase of your career. One advantage that we have over other Florida firms that deal with similar sports or entertainment legalities is our incredibly diverse, deep bench of legal talent. We are problem solvers with skill sets that cover a broad range of legal issues to help our clients with any entertainment or sports law questions. Work with attorneys who are passionate about serving the legal needs of Florida musicians, artists, athletes and businesses. Since we have tremendous in-house capacity, we can handle all your matters in one place and keep you organized and feeling in control about your future. Call our Florida sports and entertainment law attorneys today at 855-Kramer-Now (855-572-6376) to schedule a free and no obligation consultation with us.